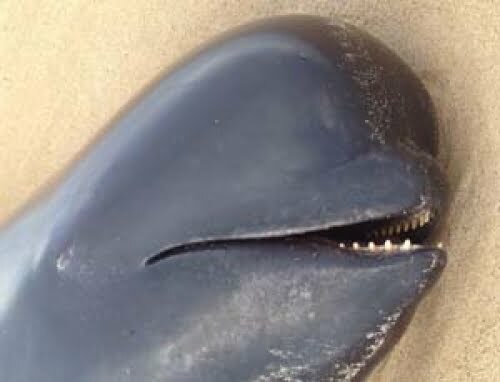 In the wake of the unfortunate live stranding of 13 long-finned pilot whales in Co. Donegal last week, The Irish Whale and Dolphin Group (IWDG) — a not-for-profit organisation dedicated to whale and dolphin research and conservation — has called for clarity from state agencies in terms of which authority has responsibility for managing live-stranding events around the Irish coast. In a letter posted to the the organisation’s website IWDG stranding coordinator Mick O’Connell stresses that while the IWDG is happy to act in an advisory role in live stranding events, it has neither the capacity nor the authority to coordinate live stranding responses on the ground around the Irish coast. The NGO feels that the National Parks and Wildlife Service, as the statutory authority in Ireland with responsibility for the protection of cetaceans and their habitats, should take the lead on this issue. It is calling for a clearly defined procedure for live strandings to be established and agreed in consultation with all relevant agencies, and backed up with adequate resources. According to the IWDG the procedure should clearly identify the agency responsible for each aspect of a live stranding event, adhere to international best practice guidelines relating to whale and dolphin strandings, and give clear guidance over when, how and by whom stranded cetaceans should be euthanased. For the full story check out the Mick O’Connel’s open letter on the IWDG website here.